Très agréable! Chambre très confortable, bien décorée. Salle de bain avec plusieurs accessoires et produits de soin. Très propre. Déjeuner copieux et varié. Personnel très gentil. This was the perfect home away from home! Very clean, quiet and well appointed rooms. Miriam and Ted were warm and welcoming hosts. And yes, the breakfast is amazing with a huge selection to please everyone! Great location too! We'll be back! Super saubere Unterkunft. Sehr freundliches Personal. Frühstück üppig, frische Muffins, Omelett. Glutenintolleranz kein Problem, bereiten dann extra Backwaren zu. Sehr gepflegter Garten. Es gab überhaupt nichts zu bemängeln!!! WOW! We've never stayed at a nicer B&B before...Mariam & Ted, their daughter Sarah too who helped us at check-in helped make it just a FABULOUS weekend, as my wife and I attended our daughters wedding at Queens Landing. This place BEATS Queens Landing! We'll be back! Coffee on the patio Lovely...Encourage you to contribute to their well-drilling ministry in Guatamala `WELLS OF HOPE!` too! What a BLESSING This family is! NOT ONE THING! This IS a `Blow Your lights out` experience! BEST SHOW IN TOWN!...guess we didn't like having to leave to come home after the weekend ended too quickly! Rural luxury in a gorgeous location The house is purpose-built- and beautifully so- for guests. Having the entire kitchen and living room at our disposal was better than any hotel would have been. And nowhere have I had a better breakfast! Reviewed by StefanoRaibl 28 Aug 2018 As you like it, un nome azzeccato Ci siamo arrivati grazie alle recensioni “nostrane” che segnalavano positivamente questo B&B anche per la proprietaria (Miriam) Italiana. Il soggiorno (solo una notte) è stato molto piacevole. La camera era ampia e fresca senza congelare come spesso accade negli alberghi. Il bagno ampio (e in 23 giorni di vacanza abbiamo trovato l’unico bidet) e come la camera tutto perfettamente pulito. Abbiamo potuto lasciare i bagagli in anticipo per non averli in auto andando a Niagara Falls. Wifi perfetto. La colazione era curatissima e completa, dalle uova al dolce con anche un espresso fatto con la moka. Consigliatissimo. Rachel, Belle River (CA) Comfortable stay with kind people. Breakfast is amazing! Above and beyond expectations. Wonderful location in a quiet country setting minutes from everything. WILL be back. 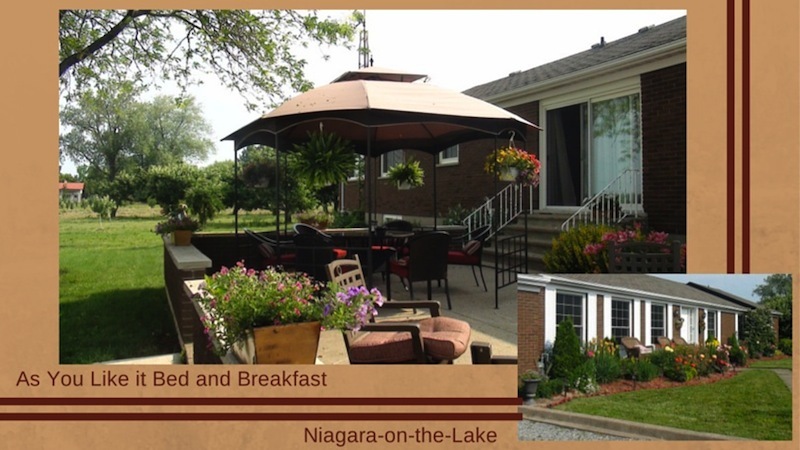 Elisabeth, (CA) This B&B is a gem for wine touring in Niagara due to it's central location, well-appointed rooms, beautiful backyard patio, and exquisite breakfast. The hosts are interesting and kind, allowing us to store our packs and bikes outside of check-in/out hours. Overall I would definitely stay here again the next time I am in Niagara on the Lake. helene, (FR) Tres reposant , en dehors du tourisme frenetique de Niagara falls et pres de la tres jolie ville de Niagara-on-the-Lake. Immenses salles de bains et excellent petit dejeuner. Mary Lou, (CA) Thoroughly enjoyed our stay at this awesome B&B. The breakfast was fabulous and owners very accommodating. Over exceeded our expectations, for sure! Petit déjeuner délicieux Très propre Très jolie région à proximité immédiate de Niagara on the lake , très jolie petite ville, et de Niagara Falls pour les chutes. Fantastische B&B, ruim, absoluut heerlijk ontbijt, vriendelijke eigenaars die verschillende talen spreken, goede uitvalsbasis om Niagara Falls en omgeving te verkennen, bovendien niet te ver van luchthaven Toronto! 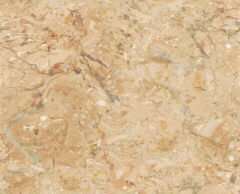 La gentilezza dei proprietari, la stanza bellissima con l'idromassaggio e un bagno super. L'ottima davvero ottima colazione. L'area circostante fatta di vigneti. Davvero un bel posto dove stare per rilassarsi e andare a Niagara Falls. A very cozy, and private place in the middle of the orchards. And still close enough from Niagara - on - the Lake. Very friendly owners, and great home made breakfast! Excellent quiche and peach pie, delicious! Upon arrival, I was warmly greated by the warm family. I barely mentioned that I love peach pie and to my surprise, in the morning, a freshly baked, delicious peach pie was on the table with splendidly light blueberry muffins, berries, whipped cream, hot omlette and more! Ted and Miriam were extremely hospitable and full of tales to tell about their humanitarian efforts all over the world. Our room was clean, cozy and comfortable. Couldn't ask for better. Thank you and we will be back and will recommend to many. Lovely home, hospitable hosts, abundant nourishing breakfast! One of the best B&B's that I have stayed at. Will be back. No doubt about that! Wonderful! It's very clean, very quiet, very nice. The food is very good and the people are very gentle! Thank you so much! What a wonderful home to visit. Miriam and Ted made us feel so welcome and made our mother's birthday weekend so special. We'll be back for sure! Lovely breakfast! Thank you for being wonderful hosts! Thank you for the great stay! The room and bed were very comfortable and the breakfast was delicious! Very clean room and bathroom! Great, delicious breakfast! Very friendly environment. The quiche was excellent. I had four servings. We will definitely recommend this B&B to others! Our very first bed & breakfast. It was wonderful! Beautiful country setting amongst orchards and vineyards. Breakfasts were delicious! The hosts were very accommodating and friendly. We will definitely return. The room was very clean, large. Excellent breakfast. The hosts were very accommodating.